We now offer an extra layer of security for your online banking account. Turn on Two-Factor Authentication and receive a passcode alert for each time a log in attempt is made on your Online Banking account. When you begin to log in, you will simply select how you want your passcode delivered: text, phone call, or email, and then will enter in the 6-digit passcode, unique to your logon session, once it is received. Use this area to review the phone numbers & email addresses you currently have set up on your account. Make any necessary edits to ensure your passcode reaches you. Click "Confirm Passcode" to continue logging in to your Online Banking account. Two-Factor Authentication is another way of keeping what's yours secure. As always, continue staying informed of fraud and scam trends and learning what techniques fraudsters are using to try and obtain your personal information. Stay tuned for more blog posts on this OLB Tips & Tricks series! 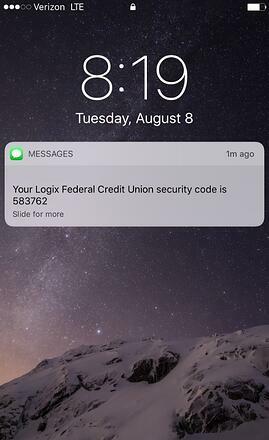 Also, if you know any Logix members who could benefit from Two-Factor Authentication, please share this post with them using the social sharing buttons above.